Frida Kahlo was born on July 6, 1907 as Magdalena Carmen Frida Kahlo y Calderón in Mexico. Her father was of German descent, while her mother was Amerindian and of Spanish descent. 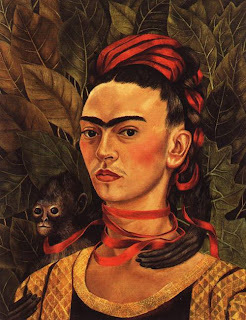 Frida married a famous Mexican artist named Diego Rivera, who played a tremendous and significant role in her life as an artist. In 1925, she got into a trolley accident, resulting in a broken spinal column, a broken pelvis, and numerous amounts of other injuries. She could not have children because of all the fatal injuries that she sustained for the rest of her life after the accident. During the 20th century, a movement of Surrealism began to grow amongst artists and writer who used fantastic images and incongruous juxtapositions in roder to represent unconscious thoughts and dreams. 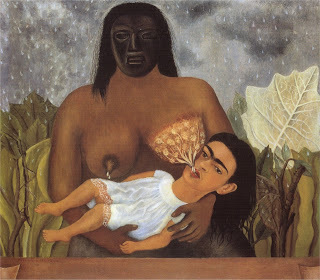 Frida had to get breastfed by a native Indian nurse as a child because her mother had already given birth to Frida’s sister, Cristina and was not able to feed them both. The painting depicts the relationship between Frida and her nurse. We see that there is no strong emotional bond between the two. It is rather distant and emotionless. We also see that Frida’s face is drawn as adult Frida rather than baby Frida. The reason was that adult Frida was having the memory so she drew her face as adult Frida. The nurse’s face is masked with a pre-Columbian funerary mask and the reason for that was Frida could not remember the features of her nurse and decided to cover it with the mask. 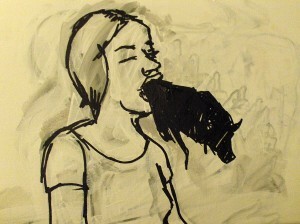 This painting goes to show that she also missed out on the mother-daughter bond with her own mother. 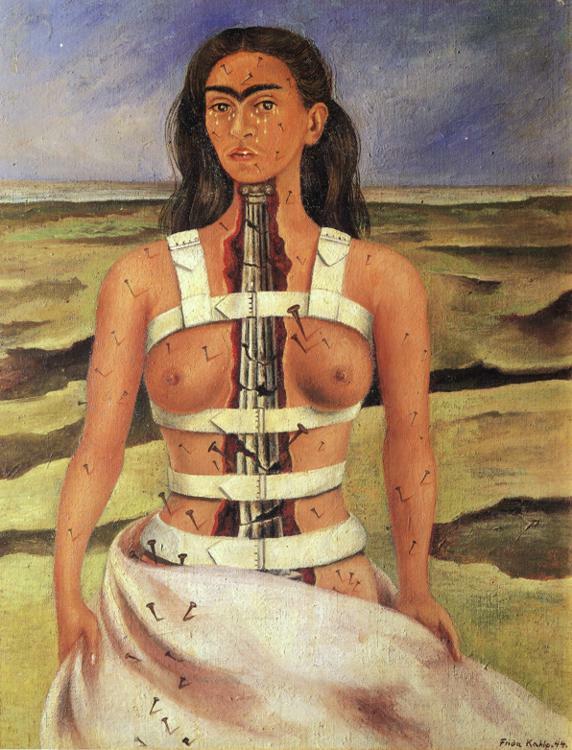 Frida Kahlo's art was very personal. As a mature artist she painted primarily self-portraits, surreal, sensual images that depict the actual physical pain she endured life. She symbolized her circumstances in her art at a time when women were still undervalued. Her art has been said to be a symbol of female struggle and has enlightened a whole movement of female artists. She may be one of the first twentieth century fine artists to paint in detail about childbirth, miscarriages and other women's issues. This painting is believed to be an expression of Friday's feelings at the time of her divorce. This double self-portrait was the first large-scale work that she painted. To your left is the unwanted Friday. And to your right, the wanted Friday. 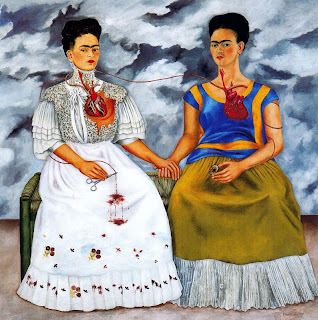 This painting is one of Frida's most well-known and successful paintings. It was her way of saying and expressing how she must deal with the physical and emotional pain on her own as she lives on with her life. The nails represented the physical pain that she had endured since the accident. The larger nail piercing her heart respresents the emotional pain caused by Diego. Chadwick says (for Frida) that surrealism has "haunting complexity and narrative quality disturbing in its ambiguity". As demonstrated and proven in her work, Frida uses her own paintings to explore her own body and her consciousness of its vulnerability. She found more "liberated understand of sexuality that surrealism pursued". And Frida turns to her own sexual reality, using the experiences and pain (both emotional and physical) in her own life to fuel the passion for her art.